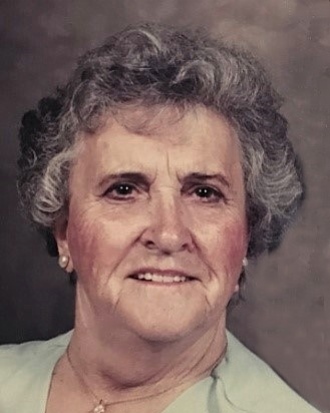 Almira Elizabeth Lund, 95, of Toledo, Oregon, formerly of Boise, Idaho, passed on Tuesday, January 14, 2019, of natural causes. Almira was born in Aberdeen, Idaho, to the late Jackson and Mary McGahey on September 26, 1923. Her younger years were in Tule Lake, California, and Bear, Idaho. She married George Lund in Council, Idaho, on June 19, 1942, and they raised their six children in Lewiston, Idaho. One of her greatest accomplishments in life was celebrating her and George’s 70th wedding anniversary. Almira was a member of The Church of Jesus Christ of Latter-day Saints and was strong in her faith. She enjoyed going to church and serving others until it became too difficult for her to walk. Some of Almira’s favorite hobbies included sewing (especially quilting) and growing a garden - she loved digging in the dirt! Her family knew that she was the jigsaw puzzle queen. She loved and enjoyed family visits. One of Almira’s strongest talents was being a friend, always reaching out and keeping in touch through phone calls, letters and, in later years, through e-mail. Almira is survived by her Brother Newell McGahey; daughters Mary Ann (Ron) Hinshaw and Jackie Blankenship; son Kevin (Debbie) Lund; 26 grandchildren; 71 great-grandchildren; and 70 great-great grandchildren. Almira is preceded in death by her husband George Lund and three children - Lana Vinson, Lehi Lund, and Karen Gilson. The family ask in lieu of flowers that you donate to the American Lung Association or the Veterans Administration. The family wishes to extend their gratitude to the Samaritan Pacific Hospice & Home Health for their support in her final days.